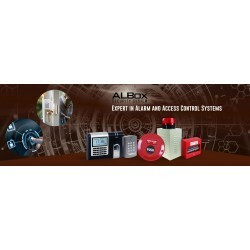 ALBox Security presents the market with Intruder Alarm, Fire Alarm, Wireless Alarm and Access Control Systems products that are not only of the highest quality, effectivity and efficiency, but also offered at a cost-effective price. We offer the broadest and most complete range of Alarm and Access Control Systems products in Indonesia, aiming to meet customers' needs of different security levels and project scale. ALBox Security products have been widely used in residential, commercial and governmental facilities throughout Indonesia, and are available at your local electronic security stores.